Tropical Cyclone Mora formed in the Bay of Bengal and in just two days it strengthened into a tropical storm and was making landfall in Bangladesh. NASA's Aqua and NASA-NOAA's Suomi NPP satellites helped monitor the progress and extent of the storm. 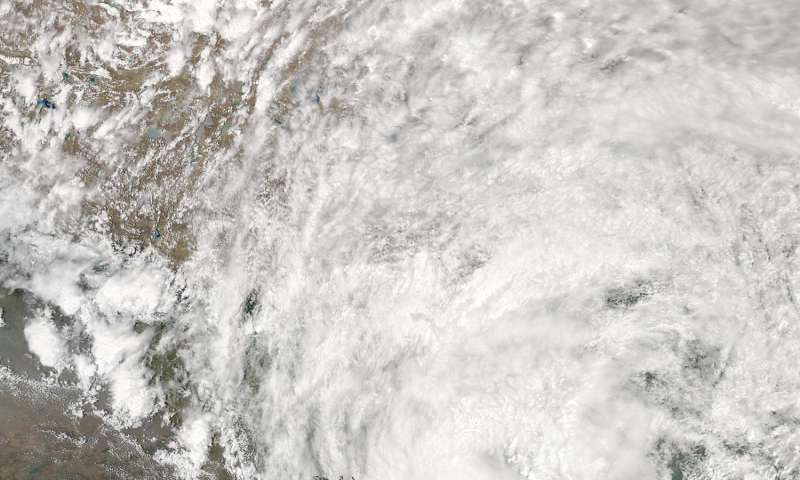 The second tropical cyclone of the Northern Indian Ocean season formed on Sunday, May 28 and once it strengthened into a tropical storm, it was renamed Mora. By May 30, Mora reached hurricane strength. On May 29 at 07:54 UTC (3:54 a.m. EDT) NOAA-NASA's Suomi NPP Satellite captured a visible image of Tropical Cyclone Mora over the Bay of Bengal, approaching landfall in Bangladesh. Tropical Cyclone's Mora circulation had improved and it continued to move toward Bangladesh. 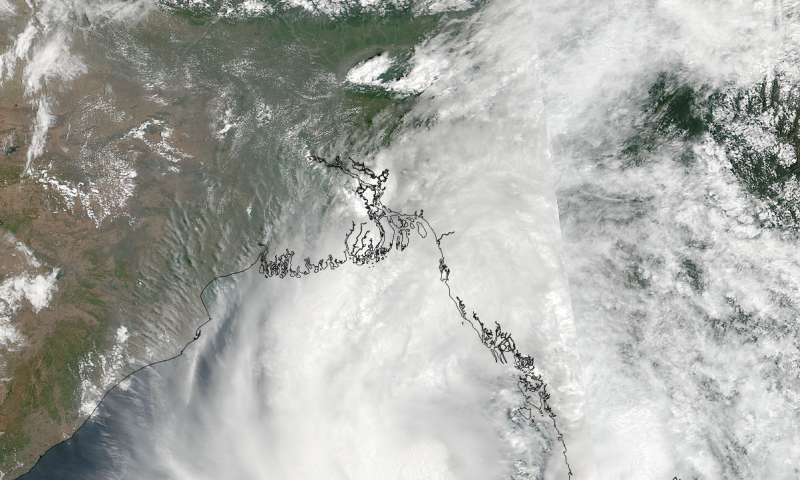 At the time of the Suomi NPP satellites overpass, Mora's maximum sustained winds were near 55 knots (63 mph/102 kph) and it was approximately 277 nautical miles south of Chittagong, Bangladesh moving to the north-northeast. At 0300 UTC on May 30 (11 p.m. EDT on May 29) the Joint Typhoon Warning Center said Tropical Cyclone Mora was located near 21.8 degrees north latitude and 91.9 degrees east longitude, about 78 nautical miles south of Chittagong, Bangladesh. Mora's maximum sustained winds were near 65 knots (75 mph/120 kph), making it a Category 1 hurricane on the Saffir-Simpson Hurricane Wind Scale. Mora has tracked northward at 15 knots (17 mph/27 kph) and is expected to continue in that direction through landfall later in the day. A visible image of Tropical Cyclone Mora was captured on May 30 at 07:20 UTC (3:20 EDT) by the Moderate Resolution Imaging Spectroradiometer instrument aboard the Aqua satellite. Mora's center was still over the Bay of Bengal, but its northern and eastern clouds extended over Bangladesh, India, and Myanmar. Animated enhanced infrared satellite imagery depicts improved consolidation with an eye feature struggling to emerge during the morning of May 30.